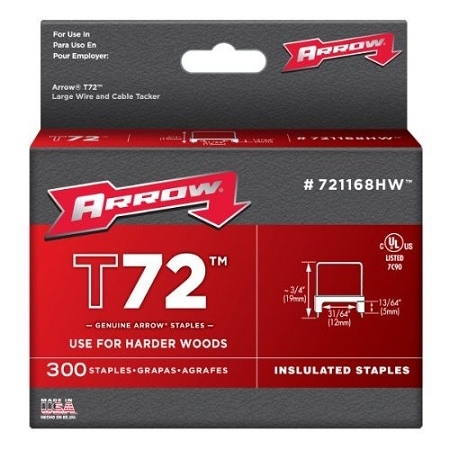 From Arrow, insulated and non-insulated fastener staples come in many styles for different applications. 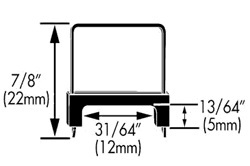 Designed with a narrow crown, Arrow staples are compatible with many brand stapler guns—helping to save money for buying equipment. 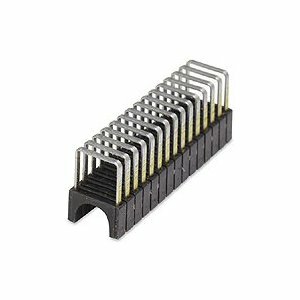 The insulated fastener staples are composed of the T59 and T72 series, whereas the non-insulated models are the T50 issue. 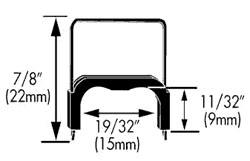 Some models consist of Arrow fastener staples for hard wood applications. Other models are rust-proof, possessing longevity for permanent solutions. 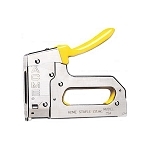 Use these staples to secure wires as small as .20 inches to bundles and cables as thick as 5/16” in diameter. 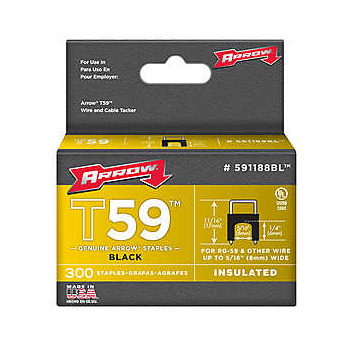 Arrow insulated and non-insulated staples are great for construction sites and installing cables in overhead settings. 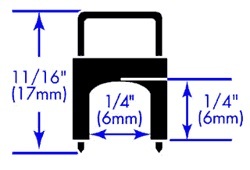 For product(s) dimensions, please click the "More Information" tab.